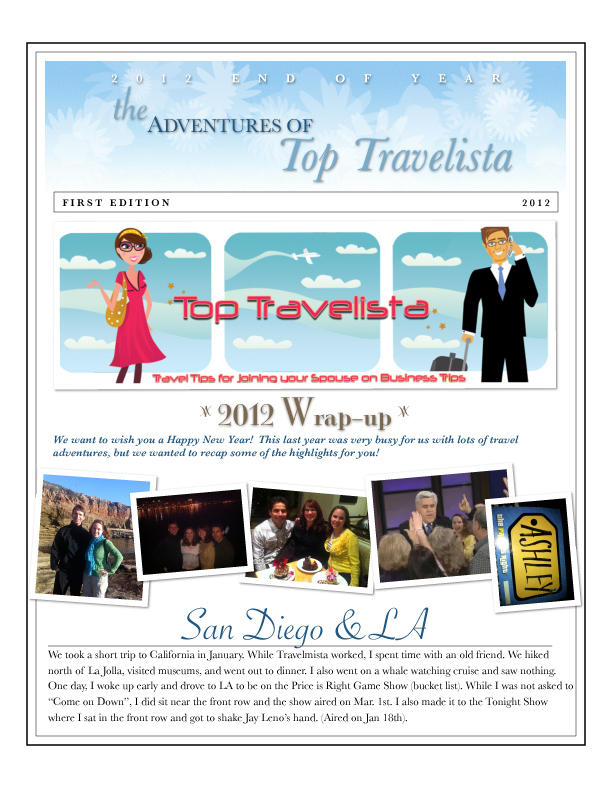 It sure was a busy year for us at Top Travelista. Not only did we start the blog in July of 2012 but we traveled to more places than we ever thought we could. Plus we gained a bunch of miles and points to help our 2013 travel plans! Below is a short recap of "What we have been up to in 2012? To read more about the trip reports mentioned please visit www.toptravelista.com. We would love to hear more about what you have been up too in 2012. It already looks like 2013 will be a very busy year for us! Can't wait for you to join us for the ride!